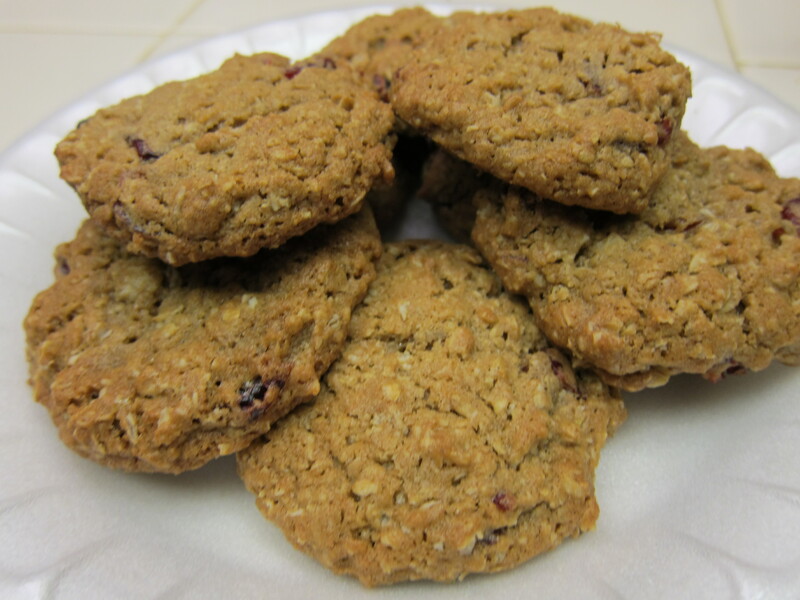 One of my favorite cookies is oatmeal cookies. 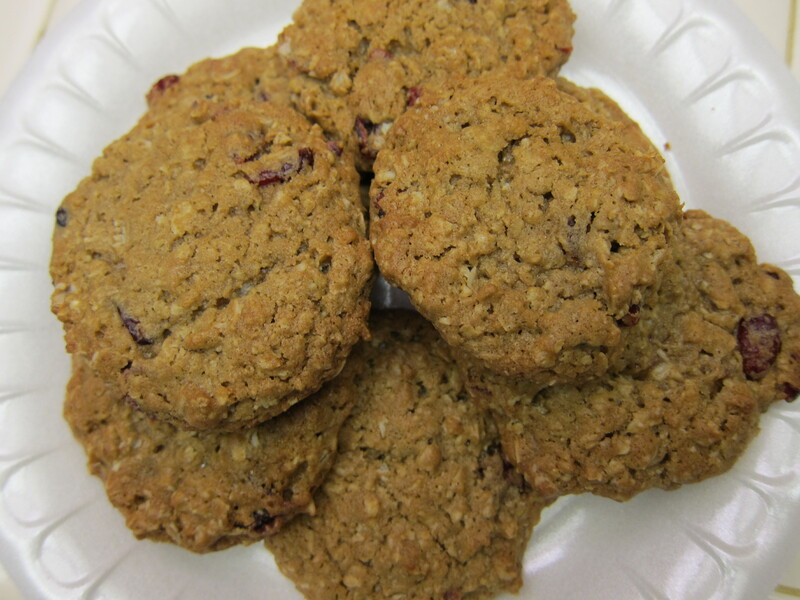 Whether they have chocolate chips in them, raisins or cranberries! I happened to find a bag of cranberries laying unused at home and thought, how opportune! Preheat your oven to 350 and line your baking sheets with parchment paper! Cream the butter, sugar and salt. Then beat in the eggs! Now mix in the oatmeal! Then mix the cranberries [or whatever you’d like to be in them] in! Spoon balls of the dough on your prepared pan and bake for 20 minutes. Let the Cookies cool for 10 minutes before eating. Preheat oven to 350 degrees. Line two baking sheets with parchment paper; set aside. In a large bowl, using a spatula, cream together butter, sugar, and salt. 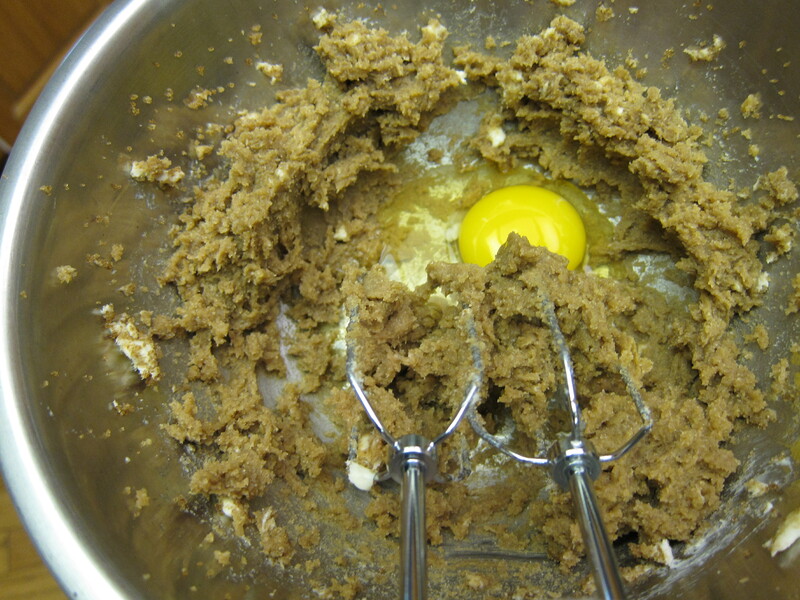 Add egg, vanilla, and 1/4 cup water; mix until well combined. 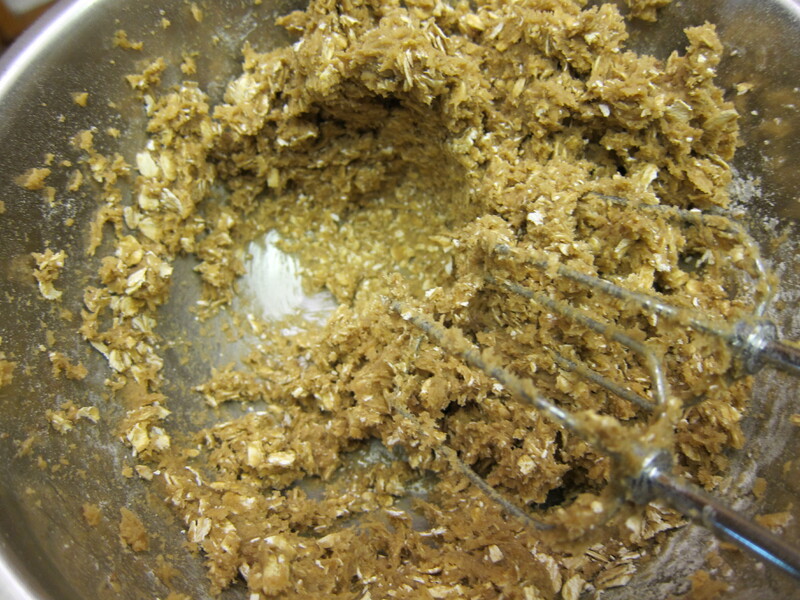 In another large bowl, mix together flour, oatmeal, cinnamon, baking powder, baking soda, and nutmeg. Fold into the butter mixture until well combined. Add cranberries and stir until well combined. 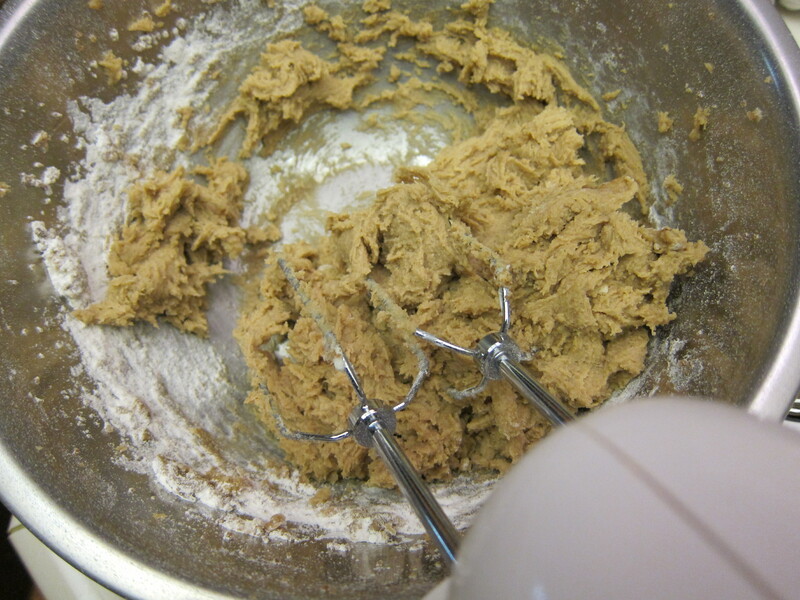 Using a 1 1/2-inch ice cream scoop, scoop out cookie dough onto prepared baking sheets, about 1 1/2 inches apart. Transfer baking sheets to oven, and bake until edges begin to brown, about 20 minutes. 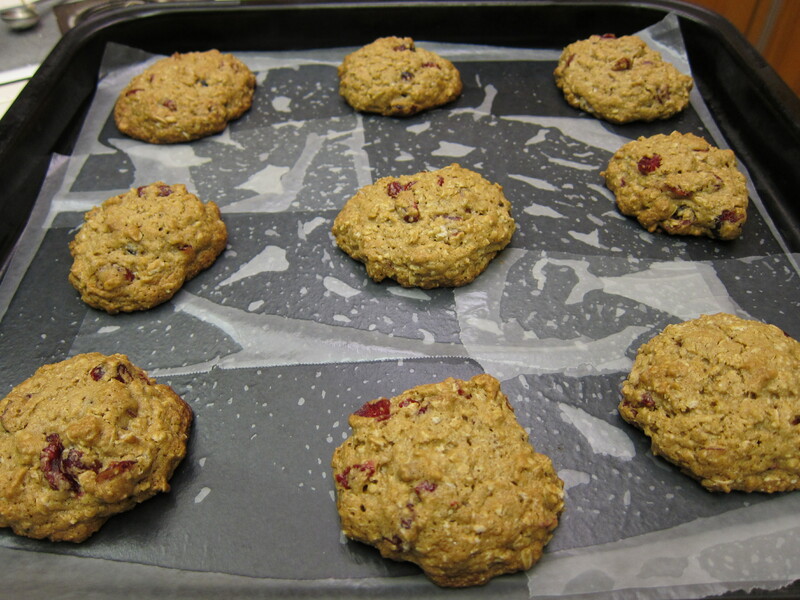 Let cookies cool on baking sheet for about 10 minutes before transferring to a wire rack to cool completely. They’re really simple to make and even more delicious! Before I leave you guys, I just wanted to share something I think is really cool. Since we’re on the post about one of my favorite types of cookies, I thought it would be appropriate to share a photo of one of my favorite cupcakes [red velvet cupcakes!] made by Grace. Look how cute!!!! I intro’d you guys to Grace in a previous post about Chocolate Crinkles. 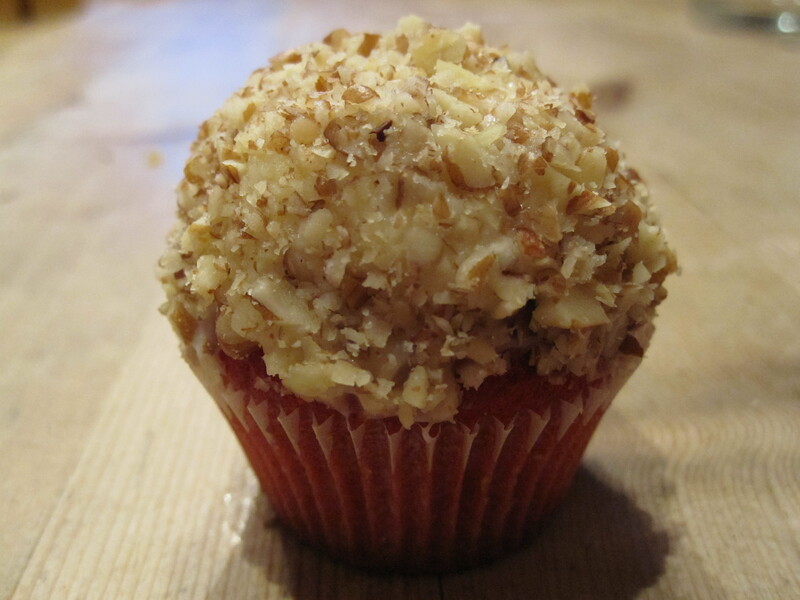 Here she has made mini red velvet cupcakes topped with cream cheese frosting and then rolled in crushed pecans. She’s one of the most talented little bakers I know! Grace, I’m really impressed! I hope you make me these next time I come up! Alright, as always, happy baking!